My explorations of kindness over the past three years have focused mostly on human kindness, and, on rare occasions, the lack thereof. There have been some days recently when human kindness seems to be in short supply worldwide. The daily news is filled with hostility, incivility, finger-pointing, and name-calling. Its magnitude drowns out the kindnesses all around us, for they are often subtle and spoken in soft voices. At times like these, I look to other sources for a kindness “fix.” I look to our four-legged friends. I won’t deny that there have been times in my life when a cat seemed to recognize my sadness or distress and came to nuzzle me and purr soothingly. Perhaps their intent was truly to comfort, but I am more inclined to believe that they were just ensuring that the food-lady would recover her composure in time for dinner. Cats are the only pets I’ve ever had (other than an extremely traumatic experience with a beloved turtle at a very young age, but I don’t want to think about that), so I don’t have first-hand knowledge of the unconditional love one might get from a dog. I hope to prove myself worthy for that experience someday. Even beyond their unconditional love and dogged devotion, I’ve been reading about scientific findings that dogs are among only a few species in the animal kingdom who are capable of unselfish kindness toward others. A study by Austrian researchers revealed that dogs demonstrate “prosocial behaviors”—voluntary actions that benefit others but offer no personal reward to them. In their experiments, dogs were trained first to pull a string that would deliver a treat to themselves. They learned this feat quickly and made great use of it. Then the scenario was changed. Pulling the string no longer offered them a treat, but it delivered one to another dog in a separate enclosure. Researchers noted that once the dog realized it was no longer receiving food, but delivering food to another, the dog continued to pull the string . . . and if the other dog happened to be known to him, he would pull the string more frequently, thus delivering more treats to his friends. I wonder if certain humans would perform so admirably under the same conditions. While it’s obvious that we can extend unselfish kindness, it’s not always obvious that we do. Only a few other animals have been shown to be capable of similar prosocial behaviors. These include primates, rats, and crows. Cats? Cats would have a helluva time playing with the string. This entry was posted in Generosity, Kindness and tagged acts of kindness, Cats, Dogs, Extending Kindness, Kindness, Pets, Prosocial Behaviors by Donna Cameron. Bookmark the permalink. I’ve been owned by 4 cats, 3 of whom must have been dogs in their previous lives because they couldn’t get enough of me and cuddles with me. As for pulling the string so others could get treats instead of themselves, I’m not sure. Although I am pretty well convinced that 1 of the 4 would have done it. You could actually feel his warmth and kindness. I’ve also had a dog — when I was a child — but his heart belonged to my mother. He liked me and my father well enough but he was totally devoted to my mother. I’m sure he would have given up anything for her. Thanks, Fransi! Sounds like you’ve had some pretty devoted cats (or they’ve had you). As good as that devoted dog idea sounds, I think I am likely to remain more of a cat person. I like their independence and aloofness, and the way they can—at only 10 pounds of fluff and fur—take up an entire king-size bed. On a separate note, my thoughts are with you and the Toronto community after yesterday’s horrific events. Take care. You’re in our hearts. I have had mostly cats in my life and completely agree with your assessment of their feelings toward their “staff” (the humans who serve them). They are lovable anyway. My one dog would have done anything for us… and he did with his love every day. We’ll have to share our cat stories sometime. Your duck story is heartbreaking–a reminder that animals have feelings. Enjoy these days of spectacular weather! My animals — cats and dogs — have been my most profound teachers. In relationship with them, I’ve experienced and learned unconditional love, patience, kindness, being truly present/in the moment, and pure joy. *Goes for cats, too, as everyone knows! So true, Kris! Animals are amazing teachers and once our hearts are opened by them, that place stays open. Seeing the world through their eyes helps us see the world more completely. Hope you and Stella are enjoying the sunshine! Our kelpie, Zula, worked out pretty quickly where she ranked in the family pack and was happy to learn how to please her masters. But whenever there were raised voices among the humans, she’d whine and fret until we made up. Work that one out! Intelligence and empathy, for a start. Intelligence and empathy, for sure, Carol! Sounds like Zula knew when her family felt safest and happiest, and endeavored to maintain that equilibrium. They really are so much smarter than we give them credit for. Thanks so much for sharing Zula! Interesting stuff, as always, Donna. I wonder if a dog would pull the string for a cat? What about one who’d scratched him? That’s sure a provocative question, Mitch! 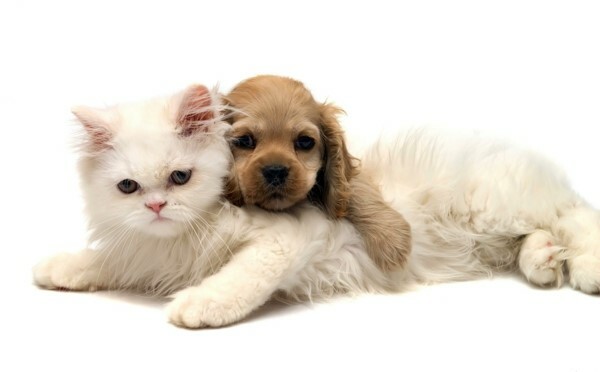 I’ve seen some dogs and cats who grew up together and were best friends. I bet the dog would pull the string for its feline buddy. I’d like to think the cat would reciprocate, but I’ll believe that when I see it. Thanks, Mitch! What a great post, Donna, and what an interesting experiment! We had cats and dogs growing up and there were different protocols that were followed by each in regards to showing kindness. My dog seems to know if I’m upset, sometimes before I do, and will give me a gentle nudge which always helps. Your end quote on cats was perfect! Thanks, JML. Yes, dogs do seem to sense things even before we do. Maybe that’s why they make such great service animals–in all sorts of circumstances. I can’t imagine a cat as a service animal–one would suffer great bodily harm just trying to get the little vest on them! You’re right about that! And I have the scars to prove it! My puppy is one of my best friends. She is truly a companion. She knows my moods and she understands a lot. Dogs are truly smart, kind and forgiving creatures. I think most animals in general are such kind creatures. If only all humans were the same. If only! There’s so much we can learn from animals, Candace . . .even cats! Thanks for your comment.